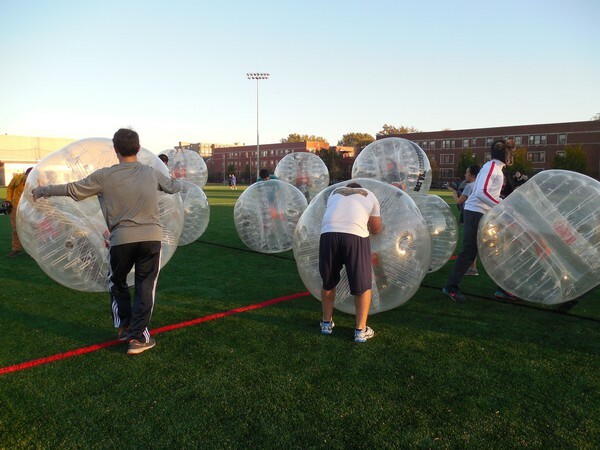 UChicago Bubble Soccer kicked off its season last Sunday, October 18 at South Athletic Field. The club started after current third-year Kevin Zen and his friend, fellow third-year Kwambata Ngatia, saw some bubble soccer videos online. Bubble soccer follows the usual rules of soccer, except its players wear clear inflatable bubbles, which resemble beach balls, as they run around the field. The bubbles cover the players from the waist up. This adds a fun unpredictability to the game; a collision between two players could send send both of them bouncing down the field. During their first year, Zen and Ngatia applied to get Bubble Soccer started through the Uncommon Fund. Although they didn’t receive funding, they didn’t give up—they applied again and were awarded $8,710 during their second year. However, Zen and Ngatia faced a few logistical issues in starting Bubble Soccer. It couldn’t be a club sport because varsity soccer already exists, and because the Uncommon Fund funds it, it couldn’t be an RSO. 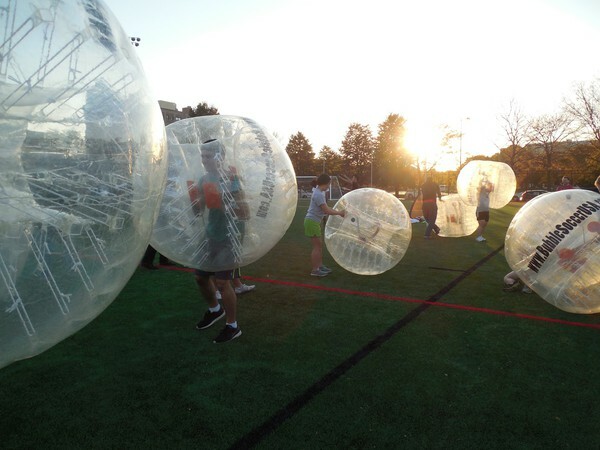 As a consequence, Bubble Soccer lacks some of the privileges afforded to RSOs and club sports, like priority in booking athletic fields. The founders also had trouble obtaining equipment. Due to liability concerns and a lack of available storage space, the University agreed to let them rent, not buy, bubbles. 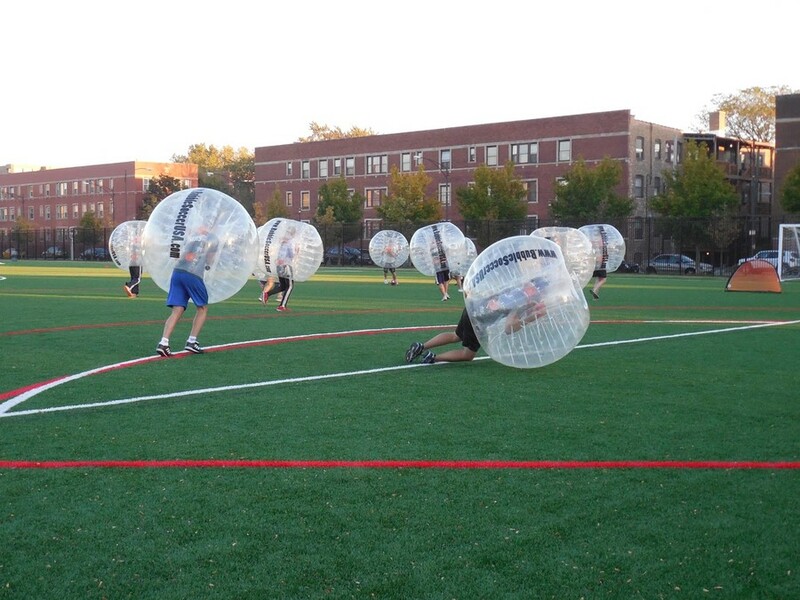 UChicago Bubble Soccer has a contract with an outside vendor (Bubble Soccer USA) that enables it to rent the bubbles for 20 games over two years. Zen says that there are currently no plans for Bubble Soccer to continue after 2017, but he would like to see it live on after he graduates. “We… would like to see someone take the mantle once we leave and have it on our list to recruit more core managers,” he said. The club has applied what they’ve learned from those games to their current setup. This year, for instance, players can sign up online individually or in teams. Though their game on October 25 was canceled due to midterms and lack of sign-ups, they plan to host games on Sundays throughout the quarter until it gets too cold to play. Bubble Soccer will resume in the spring.